Where did February go? Must have been concentrating too hard on our shawl knitting! 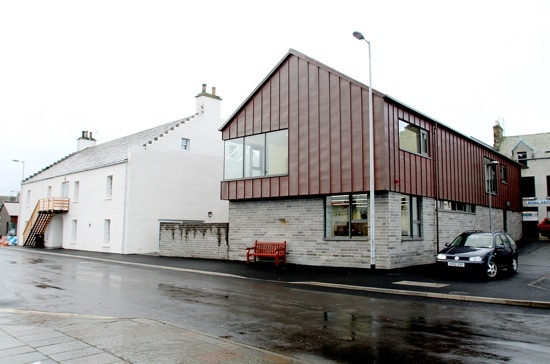 Yap and Yarn meets again in Stromness Library on Monday (3rd March) from 5-7pm. Come along and catch up with the progress of the shawls, socks and other projects the group have been working on and enjoy a cuppa and a chat. On Monday 3rd February the Yap and Yarn group meets in Stromness Library from 5-7pm, when Kaja will be starting her shawl knit-along. The pattern she will be using is the Ashton Shawlette by Dee O'Keefe which is available free to download from Ravelry. If you can't make it along to the meeting but would still like to take part in the knit-along then you can join in on the Yap and Yarn Facebook group, where you can post pictures of your progress and ask Kaja questions. And if you don't fancy tackling a shawl then just come along with whatever project you like and join us for a cuppa and a chat.